Samosas are a savory Indian pastry that often contains hearty ingredients like potatos, lentils and peas. This is a guide about making samosas. 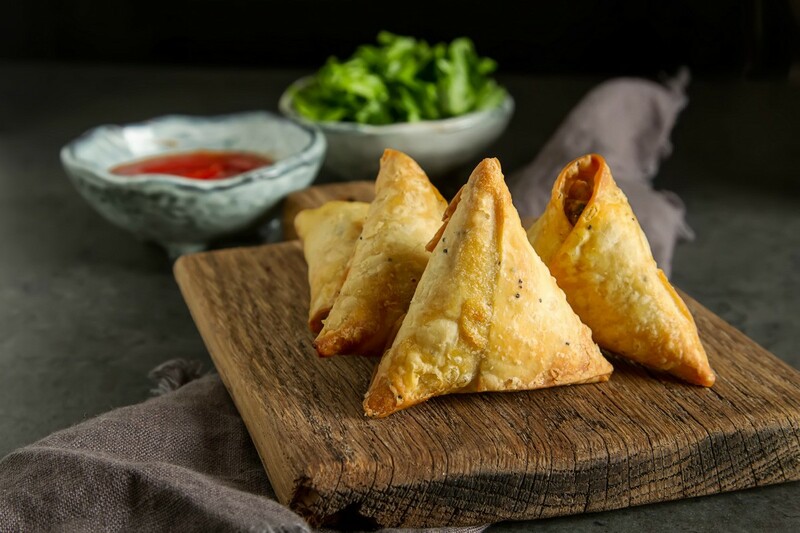 Samosas are savoury, aromatic, delicious pastries from India. 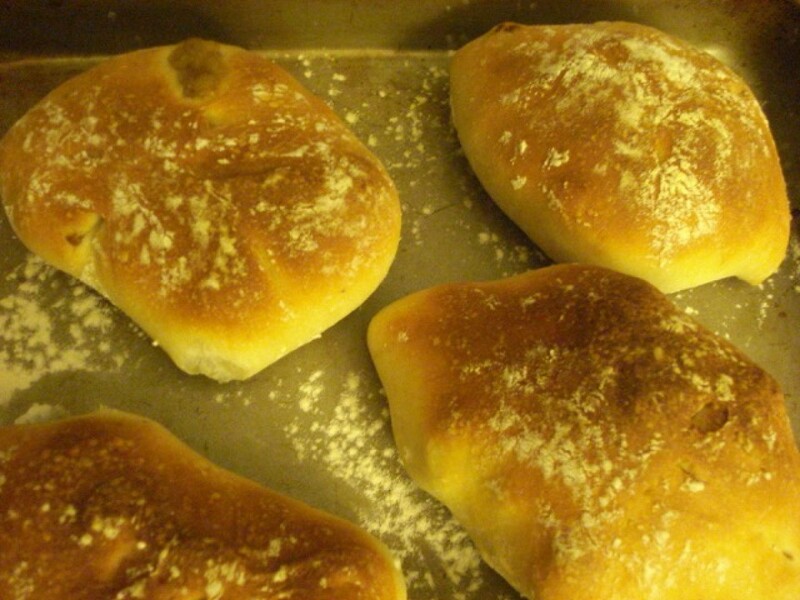 This how to make them in a flash using pre-made dough. These are a huge hit in my house! Link: This goes really well with my mango pickles posted on ThriftyFun! 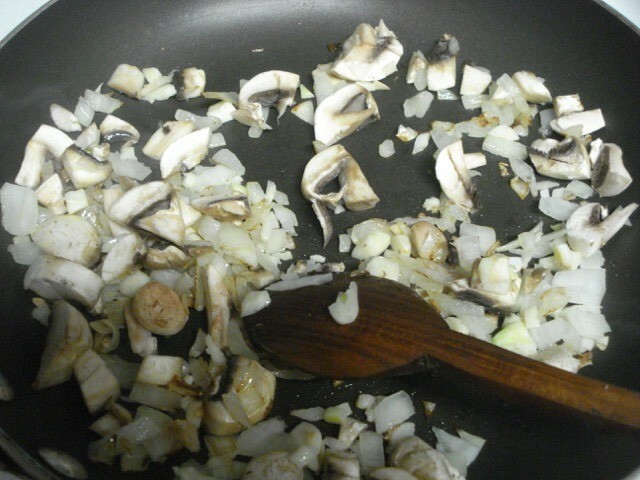 Preheat oven to 350 F. In a pan, fry the mushrooms, onion, and garlic with the ginger powder for a few minutes. 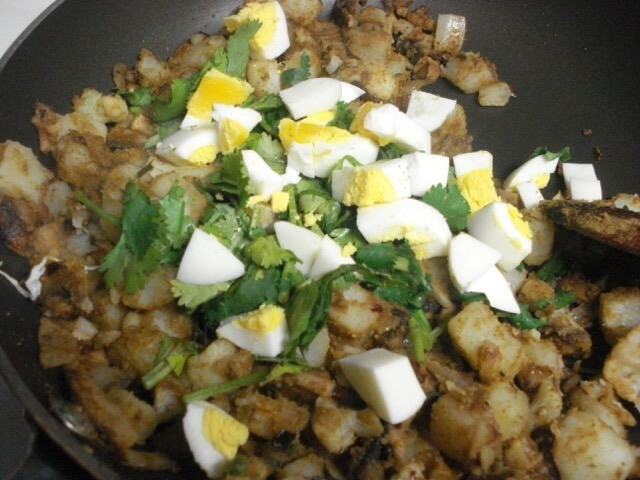 Add the boiled/diced potato, chopped boiled egg, spices, salt, pepper and cilantro. Cook for a couple minutes then turn off the heat. 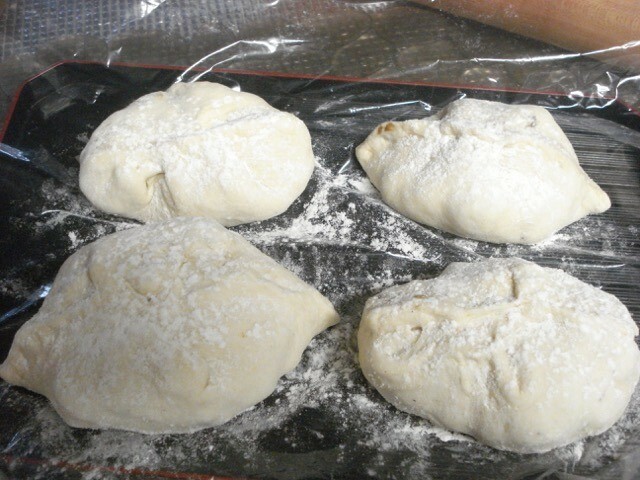 Flatten the dough with a rolling pin and cut into 4 equal pieces. 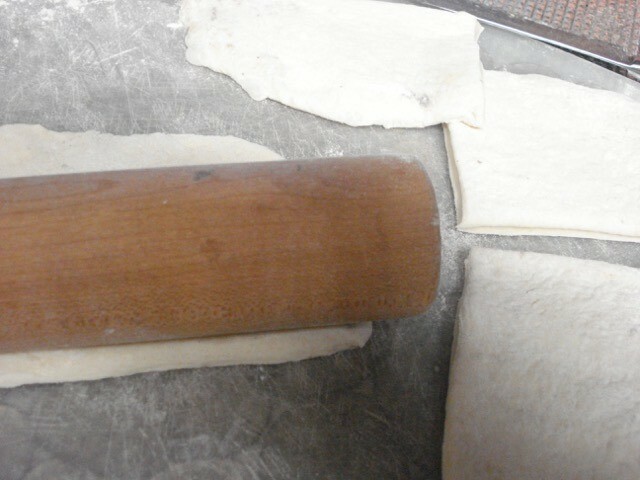 Roll each section of dough as wide as possible with your rolling pin. This will make your samosa crispy. Diving your filling into four sections. Spoon your filling to the 4 pieces of dough. Pull up the corners of the dough and press together with your fingers. 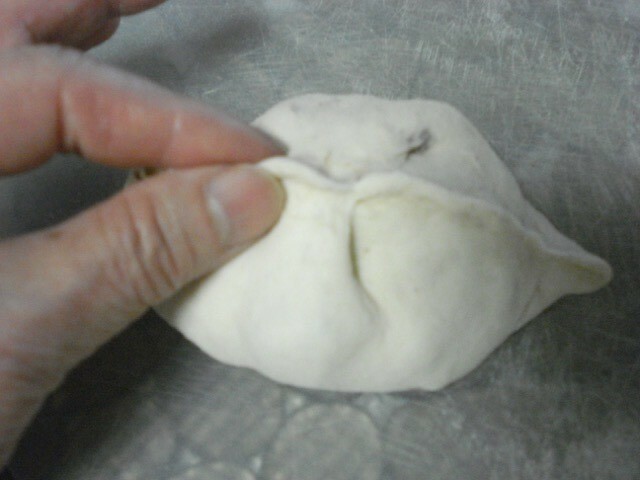 Seal up the sides by pinching the dough tightly. Place uncooked samosas on lightly floured plastic wrap. Sprinkle tops with some flour and cover with plastic wrap. Let sit for 30 minutes at room temperature. Bake in 350 F oven for about 20 minutes. 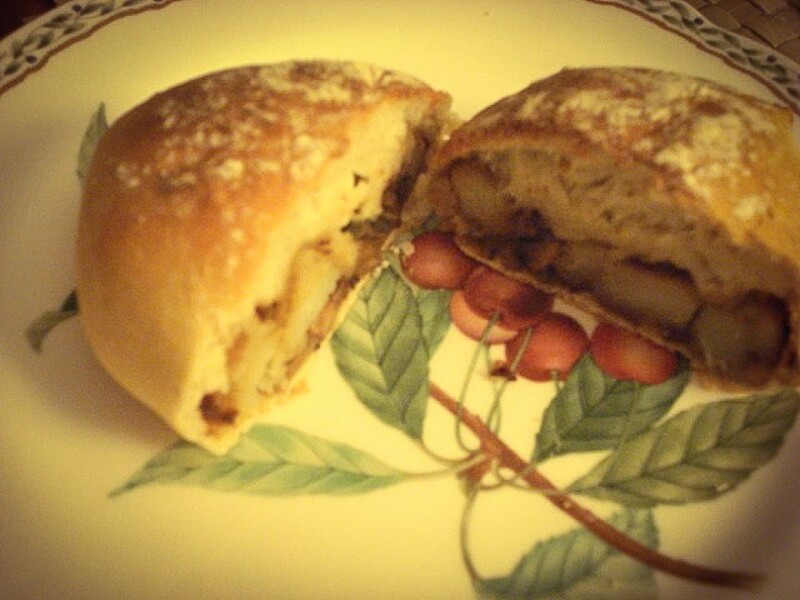 Does anyone have an easy recipe for the Indian pastries called samosas? Wow, these look like an awful lot of work! Must be good. To make the dough, sift the flour and salt into medium bowl. Add 1 tablespoon of the clarified butter and rub the mixture between the palms of your hands to evenly distribute, letting the fat-coated flour fall back into the bowl. Continue until the flour is evenly coated. Add 6 tablespoons of the water, mix, and work until the dough comes together. Turn onto a lightly floured surface and knead for 4 minutes into a firm dough. Cover with a kitchen towel and let rest for 30 minutes. To make the filling, in a large saute pan or skillet, heat the remaining 1/4 cup of clarified butter over medium-high heat. Add the coriander seeds and cook, stirring, for 10 seconds. 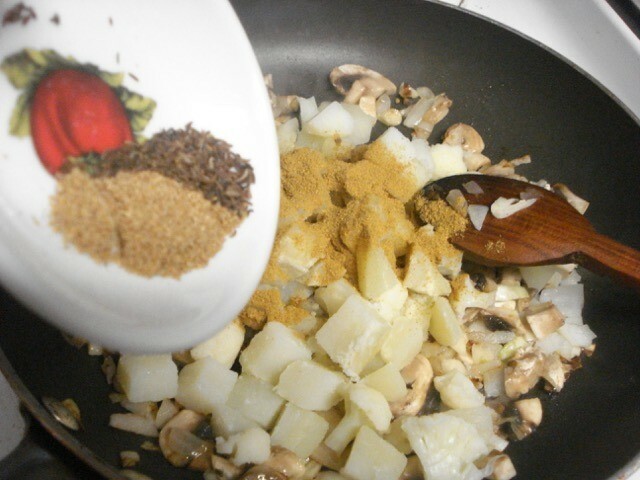 Add the onions and ginger, and cook, stirring, until starting to caramelize, about 5 minutes. Add the garlic, chile peppers, garam masala, salt, turmeric, and cayenne, and cook, stirring, until fragrant, 30 to 45 seconds. 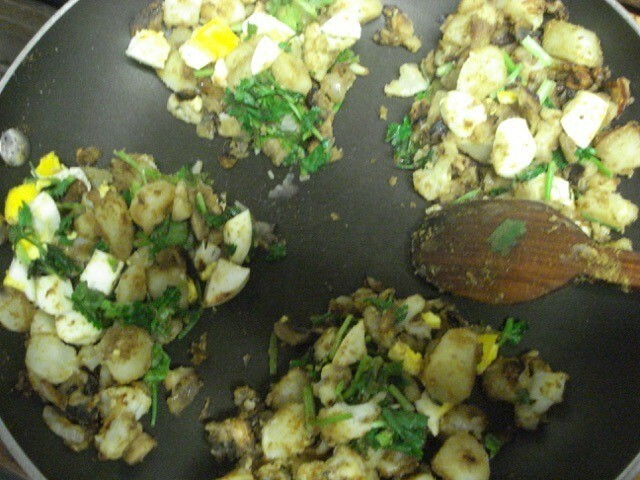 Add the potatoes and cook, stirring until the potatoes start to color and become dry, about 3 minutes. Add the peas and cook, stirring, for 1 minute. Remove from the heat and add the cilantro and lemon juice. Stir to combine, then adjust the seasoning, to taste. Let sit until cool enough to handle. On a lightly floured surface, knead the dough for 1 minute. Divide into 2 equal portions and roll each into a 1/2-inch thick rope. Cut each into 8 equal parts and roll into smooth balls. Place each ball on the floured surface and roll into a thin circle, about 6-inches in diameter. Cut each circle in half (2 semi-circles). Spoon about 2 teaspoons of filling in the center of each semi-circle. 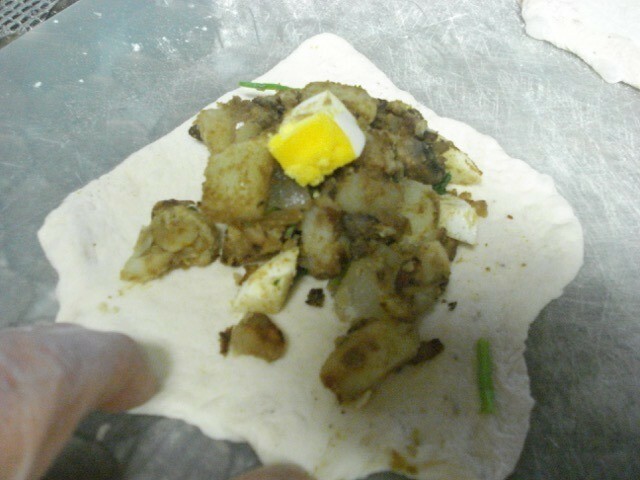 Brush the edges with water and fold the dough over the filling. Press the edges together to seal. Place on a baking sheet and repeat with the remaining ingredients. Preheat the oil in a large pot to 350 degrees F. Add the pastries in batches and cook at 300 degrees F, turning, until golden brown, about 10 minutes. Remove with a slotted spoon and drain on paper towels. Serve hot. I have an Indian cookbook---these look very good. It does say that they require alot of time and hard work---but it makes 30 of them and you can always freeze before or after frying!!! 1 packet spring roll pasty/thawed and wrapped in a damp dish towel. 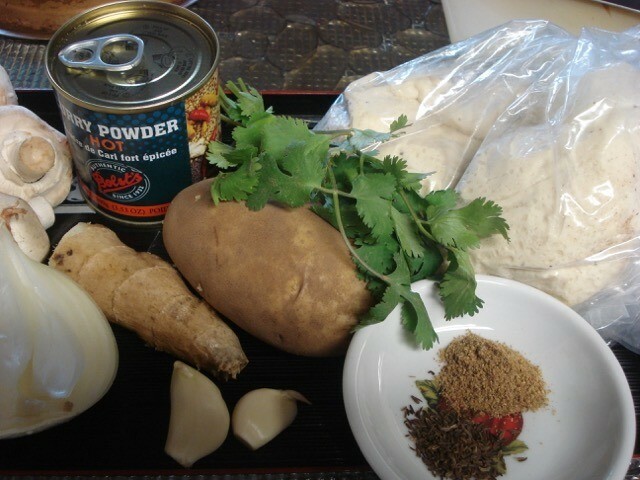 1---Toss all the filling ingredients together in a larger mixing bowl until blended well. Adjust seasoning of salt and lemon juice, if necessary. 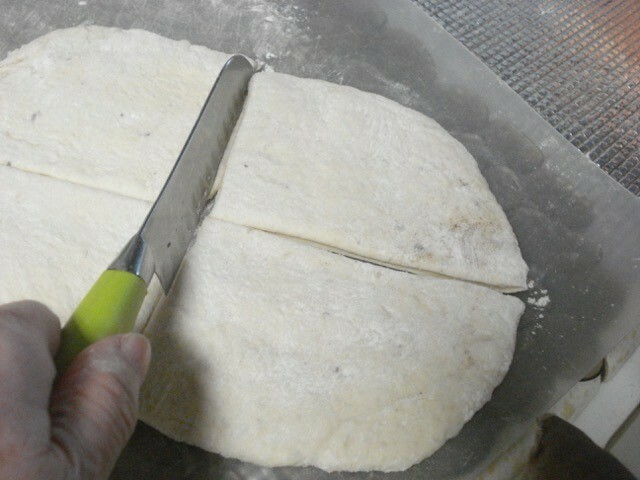 2---Using one strip of pastry at a time, place 1 Tbsp of the filling mixture at one end of the strip and diagonally fold the pastry to form a triangle. 3---Heat enough oil for deep-frying and fry the Samosas in small batches until they are golden brown. Serve hot with fresh cilantro, relish or chilli sauce. Thats it!! Really, it doesn't seem that hard to do!! Let us know how you do!!! Have one for me!!! Enjoy! !